I would now like to show you an effective method for playing defensively and still getting the DPS that comes with being a Gunslinger. I’m going to call this method the Dampers Defense. You only need the first few tiers of the Sharpshooter to be able to start using this to its full effectiveness. Here is the absolute minimum build on DarthHater. Ballistic Dampers grants 3 charges of a damage-absorbing shield that absorbs 30% when all the points are put in. This shield is given only when first entering cover, and will be applied again once you leave and enter cover again, but no more than every 6 seconds. The key point of the Dampers Defense method will be to have this 30% damage-reducing shield up virtually all the time. This will be achieved by leaving cover almost as soon as the charges have been used and immediately resuming cover to get the shield again. I usually just move forward or strafe to get out of cover, then immediately resume cover. So the next question is how do we maintain the defensive bonuses of cover and keep DPS up, considering that we will probably not have time for too many attacks before it is time to move? Cover Screen gives us the defensive bonuses of cover for 6 seconds after we leave cover. If we do this correctly, we should be back in cover within 2 seconds, so the time limit shouldn’t be a problem. Snap Shot makes the first Charged Burst from cover have no induction, which means that we will enter cover, fire off a Charged Burst, maybe get Thermal Grenade or Sabotage Charge off, then leave cover because time is up. 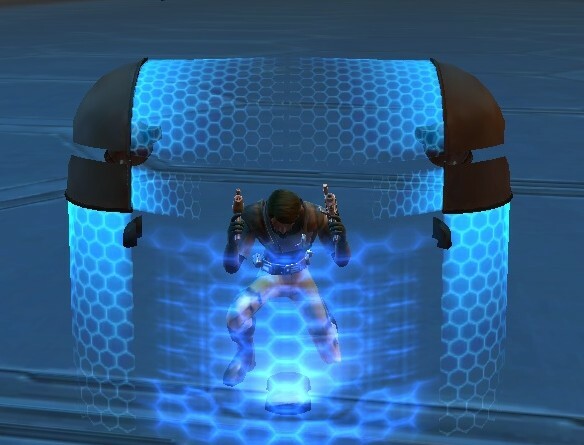 As I leave cover, I like to use Quick Shot (which is one of my favorite on-the-go skills) or Flurry of Bolts to allow for my energy to recharge. You don’t want downtime, remember; you don’t have an autoattack. The reason I recommend the other two talents versus requiring them, is they aren’t actually needed for the Dampers Defense method to work, but they are sure nice to have. Slick Shooter boosts Charged Burst’s chances to crit, which just means more DPS on a skill we will be using every time we go into cover. Also, if the crit procs, it activates the bonus for the other recommended talent, Quick Aim. Quick Aim, like mentioned above, activates on a crit from Charged Burst. It reduces the induction of Aimed Shot, our big sniper shot, by 1 second, placing it at exactly the length of the global cooldown timer, 1.5 seconds. When this procs, it would be a great skill to use right after the initial Charged Burst. Make frequent use of Smuggler’s Luck, as it will get a guaranteed crit from Charged Burst. The drawback of this method is that you must be moving in and out of cover to make use of it, so you give up the use of some abilities like Hunker Down which last a good long time (20 seconds anyway) if you stay in cover, but are cancelled and put on cooldown upon leaving cover. Ballistic Dampers also have a “cooldown” and can only applied every 6 seconds, so you can’t just spam cover (which has an inherent 1-second cooldown anyway). Ballistic Dampers only absorb one attack per 1.5 seconds, which is the length of the global cooldown. Because of this, instant attacks will be absorbed, but abilities that are channeled or that launch several blasts won’t be absorbed past the first damage. You won’t probably run into any problems with the cooldown of Ballistic Dampers, since you are making use of several global cooldown rotations (at least 3 for the charges to be dispelled, which comes to 4.5 seconds). If you take one rotation more of damage, it probably won’t make a huge difference. I hope this gives you something to think about when in PvP, see if it works for you and let me know what you find! Excellent work. Sharing this with the other gunslingers in my guild. Thanks. I tried this in PVP today. It worked very well. Glad to hear it! That is my goal. Doesn’t work in every situation, but it works in a lot of them! I’m now not positive the place you’re getting your info, but good topic. I must spend some time studying much more or understanding more. Thank you for excellent info I used to be looking for this info for my mission. 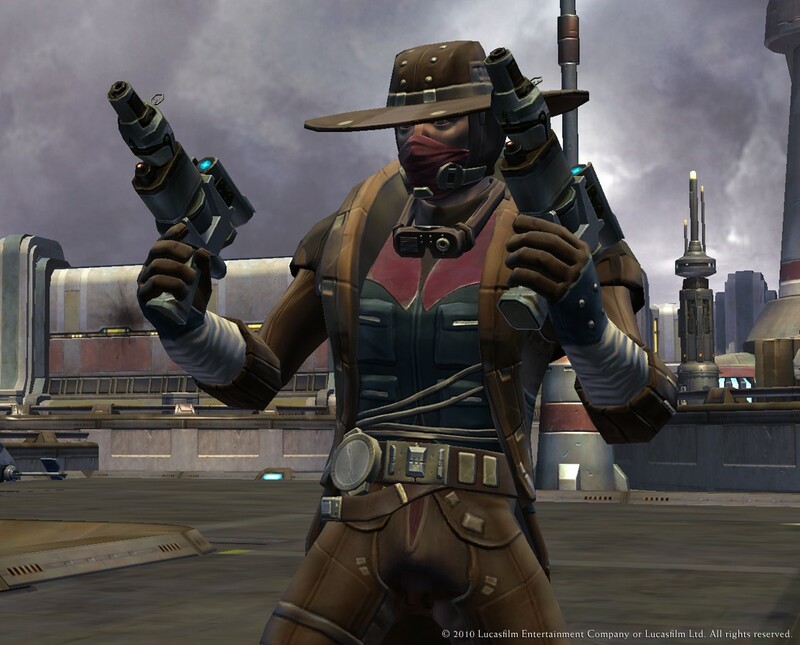 Idiots, Slander, and Patch Notes My Perspective on SWTOR Beta aka Skavak Will Pay!! !